I’m reading several books right now and have slowed down my pace a bit. Here’s what I’m reading or about to read, both on my Kindle and from a print book. 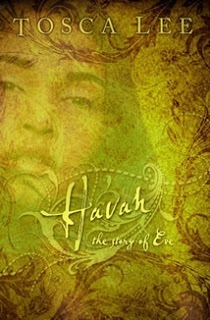 Havah by Tosca Lee. A first person, fictional (obviously) narrative about Eve, the original “bone of my bone, flesh of my flesh.” I’m a bit over halfway and enjoying it very much. Tosca Lee is a lovely writer. I’d heard good things about this one and even though it’s not normally something I’d be drawn to, I picked it up on my Kindle. It started a bit slow for me and the prose took some getting used to, but now I’m into the story and looking forward to tonight when I’ll read some more. Even knowing how the story turns out doesn’t dampen my appreciation. When Your World Falls Apart by Dr. David Jeremiah. Good and practical for how to journey through the seasons when God shakes up your life and your plans. I’ve loved the chapter on Psalm 121, one of my favorites and one I memorized several years ago. I lift my eyes to the heavens—where does my help come from? My help comes from the Lord, the maker of Heaven and Earth. 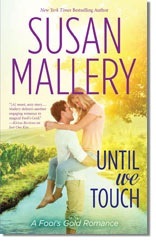 Until We Touch, by Susan Mallery, will round out her summer Fool’s Gold releases. I’m expecting my advance copy of this one any time. It’s probably waiting for me in the mail box right now. I’m looking forward to some more Susan Mallery to read during the hottest summer days. And finally, I’ve finished an advance copy of Ellen Sussman’s July release, A Wedding in Provence. It’s a lovely story and one I enjoyed. I’ll be sharing my review here very soon. What are you reading? I’m always looking for new titles to add to my Mount To Be Read stack.